I talked in my last post about important considerations in addressing expressive vocabulary for individuals with autism. 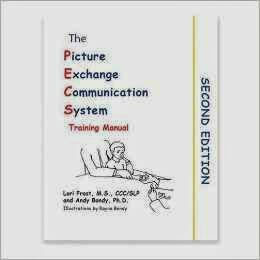 Today I want to focus on one of my favorite methods of introducing communication for students who are either nonverbal or functionally nonverbal (they talk but don’t use language to get their needs met): The Picture Exchange Communication System (PECS). 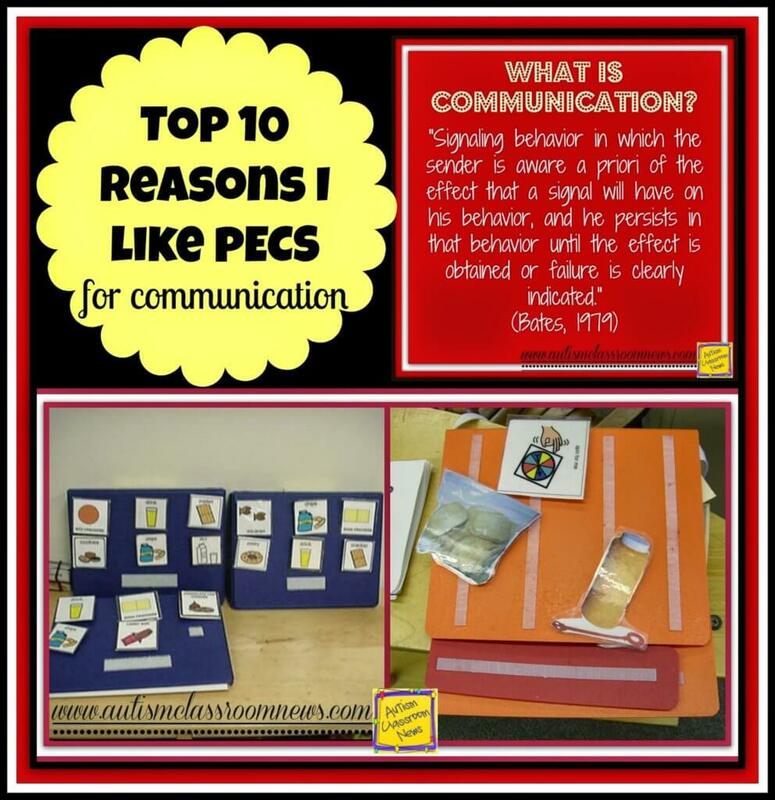 PECS is a system for instructing students to communicate using pictures or symbols (pic/syms) in place of words. Students physically exchange a picture to request an item, to comment on or describe something, and eventually to have a conversation. 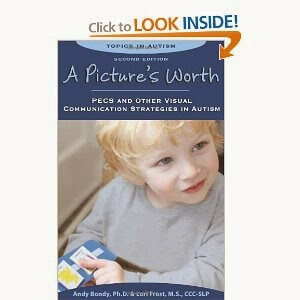 PECS encourages and models speech along with the picture exchange, but the picture is designed to serve in place of the words. I can’t tell you how to implement PECS extensively in a blog post, but I will give you some resources for learning more about it and talk about the particular reasons that I think it’s such a good fit for kids with ASD. Contrary to common belief, PECS is not an abbreviation for picture symbols. 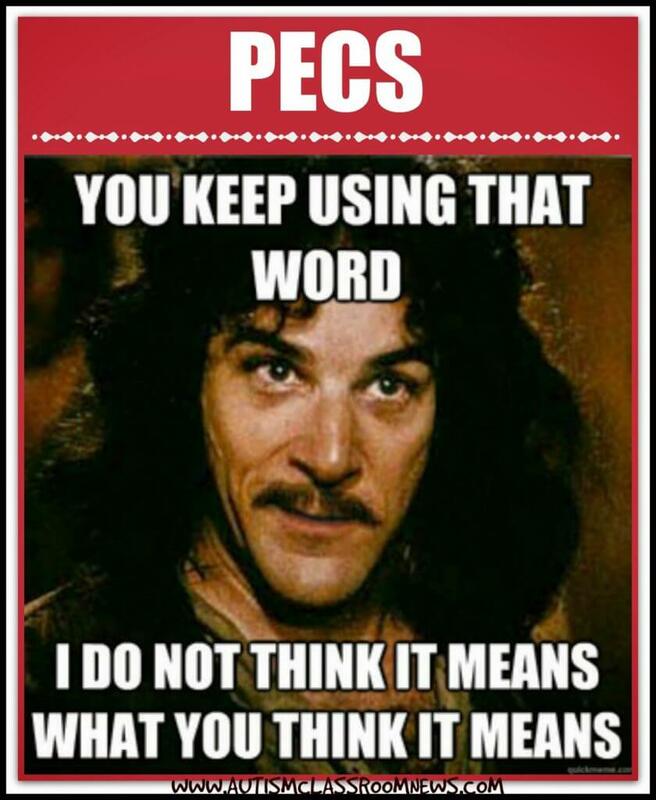 Although we sometimes call the pictures we use in the system PECS and the book they are kept in a PECS book, PECS as a term is NOT synonymous with pictures, schedules, or symbols used for communication. I say this because it’s kind of a pet peeve of mine when people use it incorrectly, but more so because PECS is the SYSTEM that is used to teach communication. The system has specific phases (6 to be exact) that are based on the science of verbal behavior–a part of applied behavior analysis devoted to all types of verbal behavior including text, speech, and communication in all forms. There are specific stages of instruction and methods for teaching the initial exchange to request, to teaching students to discriminate between pictures, to travel to communicate, and later to comment and expand the functions of communication, all while modeling and encouraging speech. There is so much more to communication than just naming something or asking for something. Individuals with autism’s communication difficulties create barriers to understanding the process of communication. 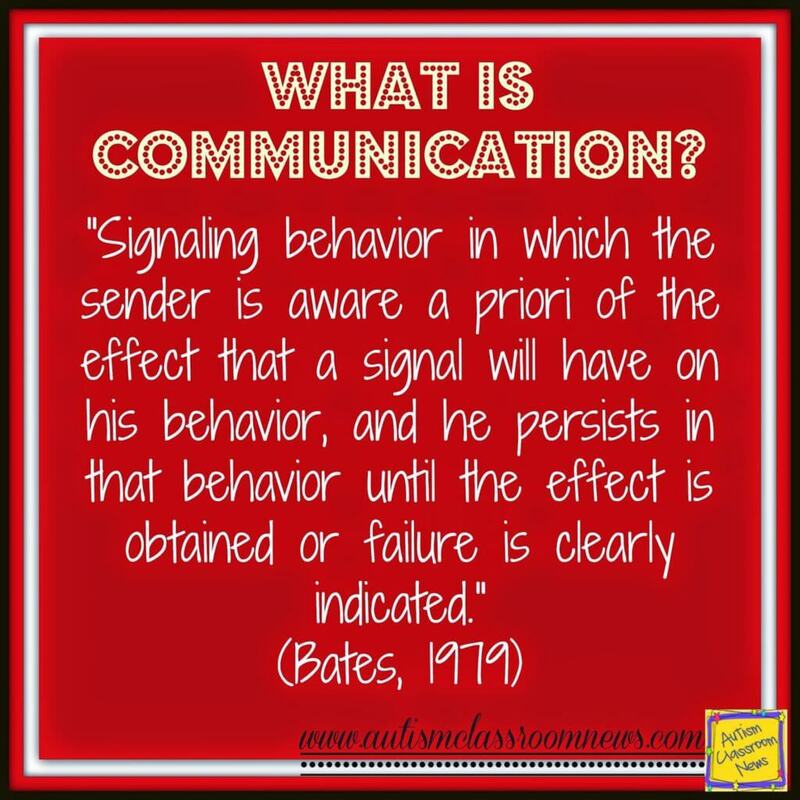 As Bates’ quote indicates, the individual has to know the messages, gain attention and deliver it, and persist in trying to send the message until it is delivered or it clearly has failed. The great thing about PECS is that in order to deliver that message, students have to find the picture and get the communicative partner’s attention in order to make the exchange. If the partner doesn’t take the picture, the communication is not completed. This makes the act of communication tangible for the individual. Individuals with ASD often will deliver a message verbally without gaining attention and the message is lost. Or they try once and give up when no one responds. The act of giving the picture to someone means they can’t just say something while standing on one side of the room and expect someone to respond to them–the communication act becomes tangible in that way. As I’ve noted in several other posts, individuals with autism often have difficulty initiating actions. This means that they will sit and wait for someone to ask, “What do you want?” or hands them an augmentative communication system in order to say something. I don’t know about you, but if I’m sitting at the table and I want more potatoes, I don’t wait for someone to notice that I want something and ask me what I want before asking. Instead, I get the attention of the person sitting near the potatoes and ask them to pass them to me. Similarly, I don’t wait for someone to give me pictures to make that request. Instead, if I can’t speak the language they understand, I would get their attention and point or draw a picture or use some other strategy. This is initiating communication and is what we need to teach our students to do. They need to be able to voice their needs, wants and opinions just like the rest of us. To do that they have to initiate communication. For many that means we need to TEACH them to initiate. PECS does this by not using the phrase / direction, “What do you want?” Instead it sets up tempting situations so the individual wants to communicate, and then uses prompting from behind that is nonverbal and more easily faded to help them make the initiate exchanges with the communicative partner to access the reinforcers. This teaches the individual to communicate when they want something and eventually they have steps to teach them to travel to where the pictures are and the communicative partner is to deliver their message. There is research that has found that the use of PECS to teach communication functions that serve the same need as challenging behavior can result in a decrease of the challenging behavior. Essentially, if I am hitting someone to access something to drink or a favorite item based on a functional behavior assessment, and you teach me to independently request those items that I need or want, the communication strategy can replace the challenging behavior. This is a simple example and it is often more complex, but there is significant research that indicates that individuals (with and without autism) have fewer problem behaviors when they are better communicators. Many parents (and teachers) are afraid of any type of augmentative communication will inhibit individuals from developing speech. We have no research that has found this to be true. We do have research that shows that PECS (and some other forms of AAC) can increase speech over time. Some individuals naturally drop using PECS when they become more proficient because using their speech is much more efficient. 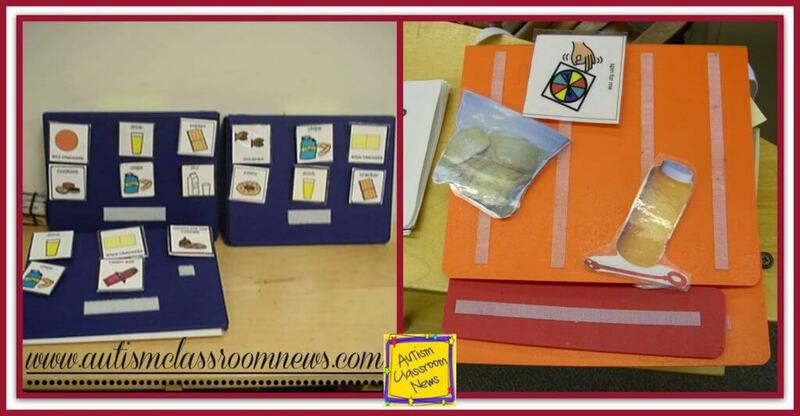 PECS builds in reinforcement protocols and strategies for encouraging and reinforcing speech specifically. As such, learning to communicate makes it more likely that individuals will use speech; and if they don’t use speech proficiently, it gives them a functional way to communicate. Pictures are easy to understand. Sign language and some individuals’ speech is difficult to interpret, not used effectively, and can lead to many situations that an individual is not able to make him or herself misunderstood. Pictures are easy to understand for everyone (because we usually have labels on them as well as the pictures), everywhere. This makes communication efficient and successful across environments and encourages more communication. Once the student is able to use one picture and make the exchange, the system moves to teaching them to travel to the book and the partner. 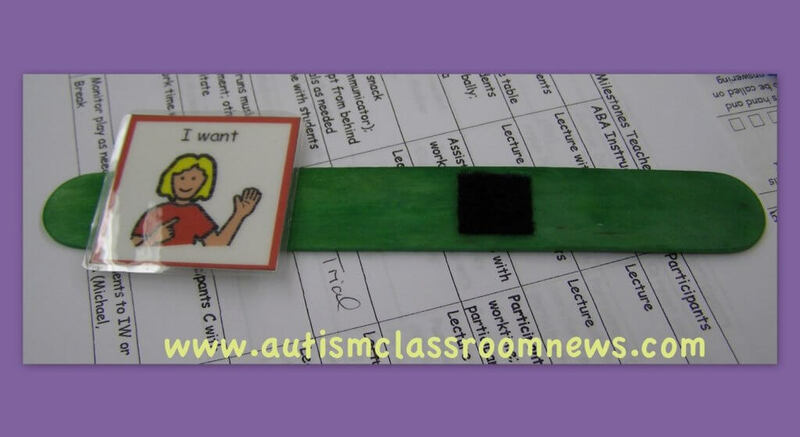 It also begins to expand the length of a student’s communication using a sentence strip as well as increasing the functions of their communication to describing items in the requests and then to commenting. Pat Mirenda makes the point that individuals with autism typically (not always) are weaker in motor imitation, fine motor ability, and representative memory. Often they are stronger in visual discrimination or visual perceptual skills. Because PECS is a selection-based strategy it capitalizes on students’ strengths to teach to their weakness–their visual perceptual skills to address their weaker communication skills. This is different than sign, for instance, that requires the student to imitate motor movements, execute with acceptable precision fine motor movements, and represent the motor movements learned for each word mentally. I’ll have more in a later post about this issue and choosing forms of communication, as there are pros and cons for each. While this isn’t a reason in and of itself, PECS are inexpensive to make and can be made more easily than ever with image searches on the computer and cameras on everyone’s cell phone. 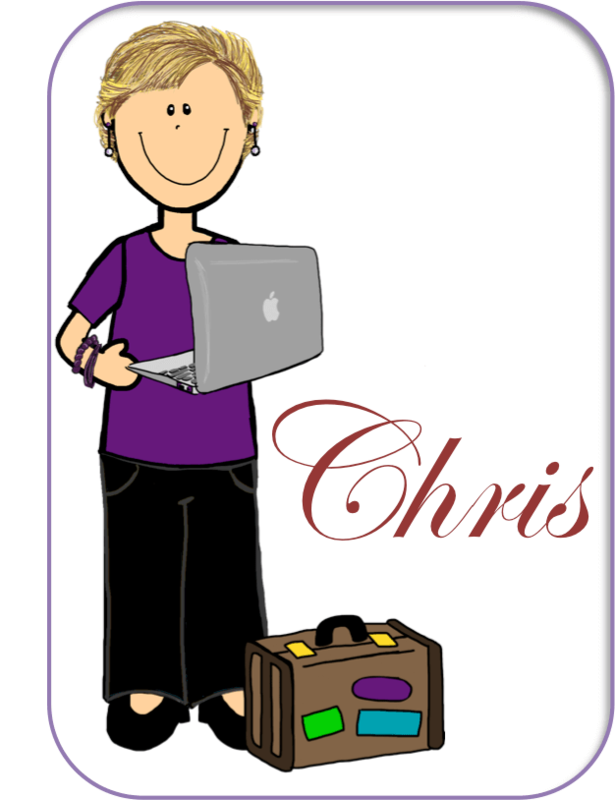 All you need is a notebook, pictures, laminate and Velcro. And you have those in your classroom already. This is not to say that every student should automatically start on a low tech AAC system, but it is a good way to get up and started with a research-based systematic approach with very little funding. In other words, there is no excuse NOT to teach communication. If you’ve read this blog for any length of time, you know how important this to me. PECS is one of the identified evidence-based practices in the National Professional Development Center’s report. You can read more about it HERE. I will be back later this week with a few surprises up my sleeve and I will also give you some great resources to learn more about PECS. Until then, you might want to check out these resources below. So how do you use PECS in the classroom? Don't know how I missed this when it first came out. Great post!